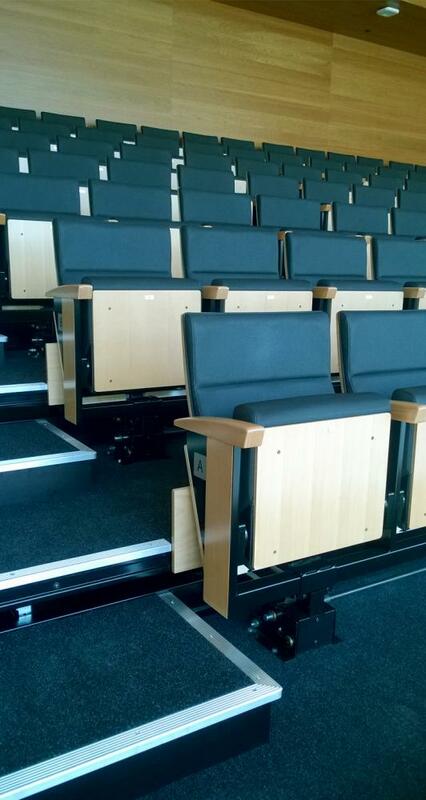 High specification and comfort on retractable platforms. 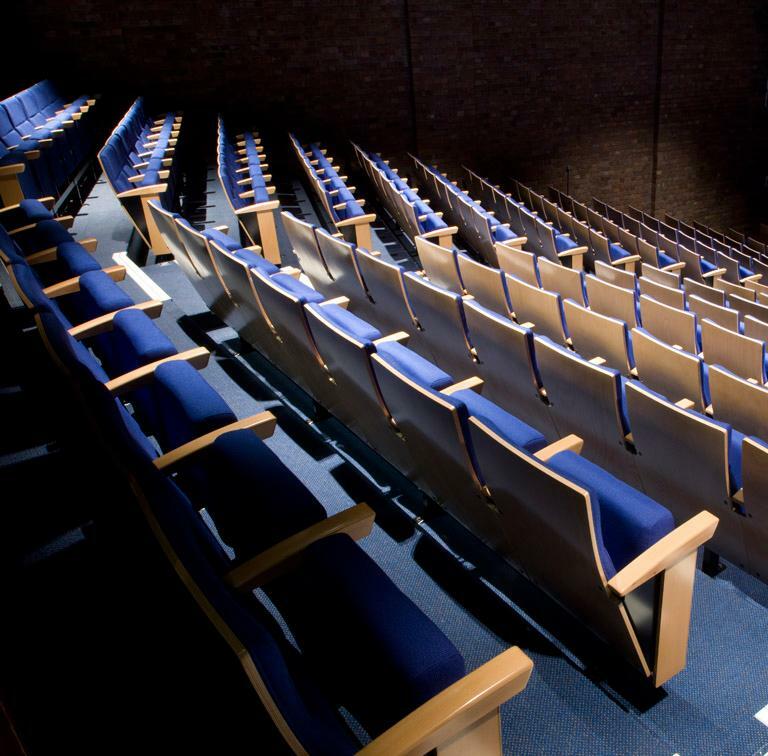 Recital combines high-specification auditorium styling with retractable seating capability thanks to its clever design. 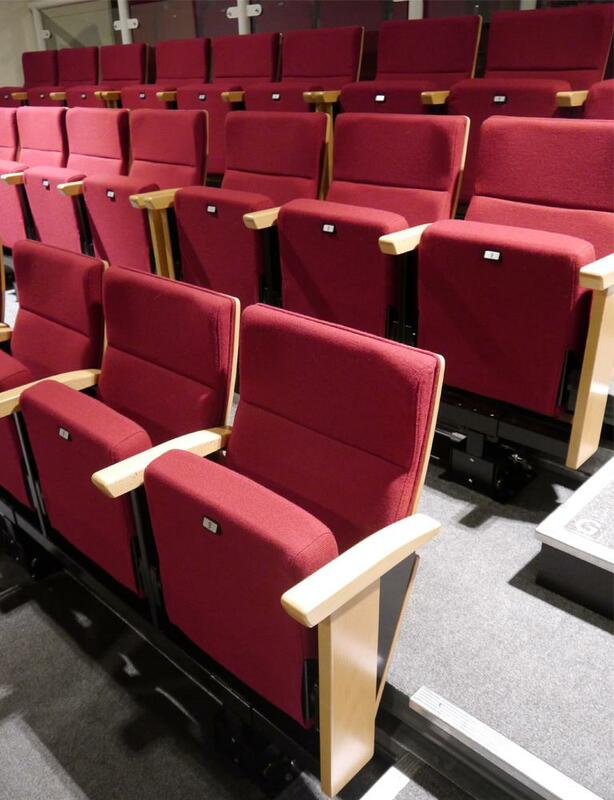 Its unique mechanism allows it to concertina and nest as it folds down, making it possible to accommodate it on a modest 280mm row rise retractable platform system. Recital complies with the British and European strength standard BS EN 12727(2000) at the highest level of test (level 4). Ideal for stand alone applications or for use on TX platforms. 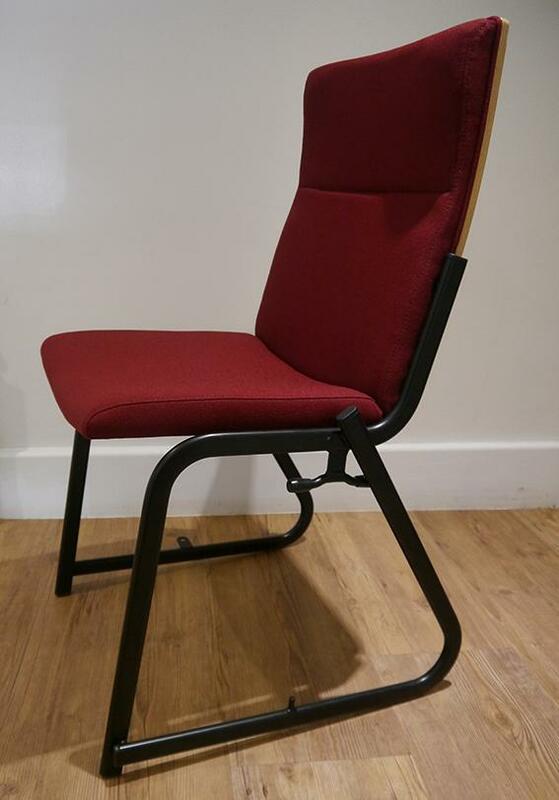 A complementary stacking chair is also available. 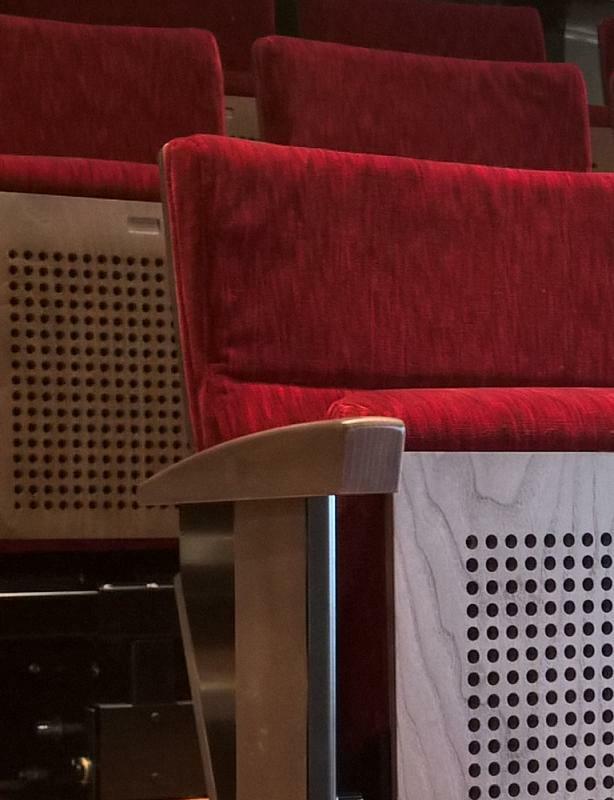 Options include decorative timber panels and timber armrests. Shaped for support in the seat and lumbar regions. End panels are available even for the retractable version of the chair. 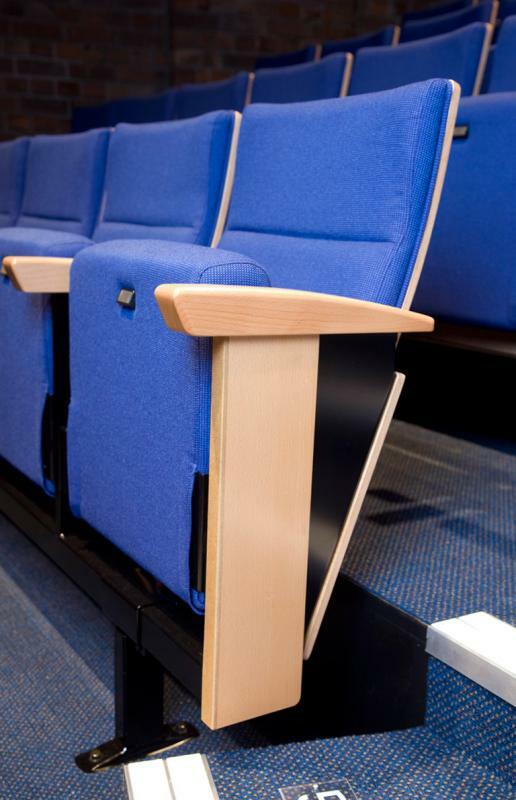 A timber panel, either plain or slotted is available for the underside of the seats. A fold-away writing tablet can be added for flexible academic or conference spaces. 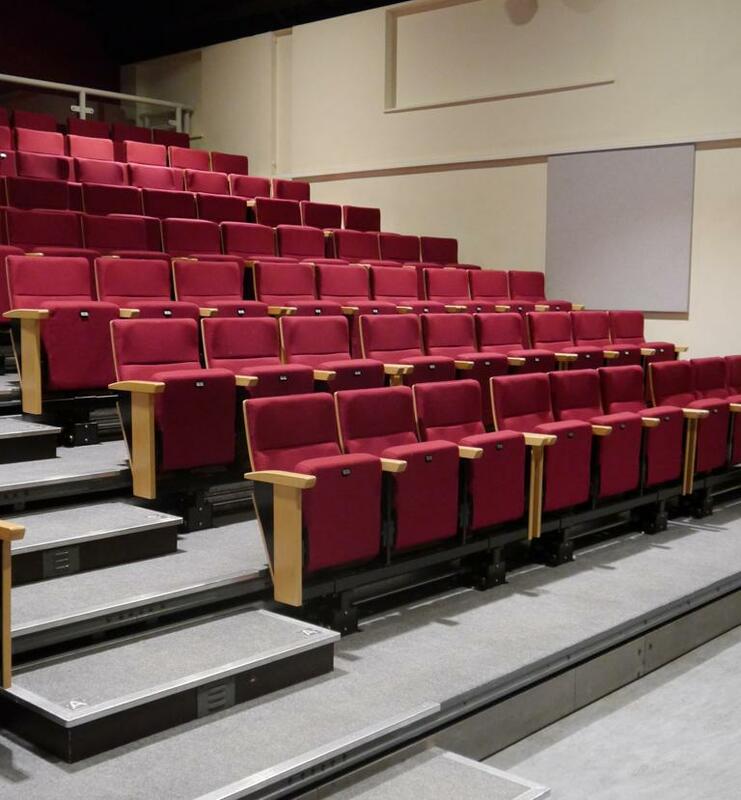 The stacking version complements the rest of the Recital range and is perfect for adding capacity in front of a retractable or tiered area. With a sturdy sled base, Recital Stackers can be stored/transported on specially designed trollies, or on sack trucks. Just fill in your details below to download as little or as much as you like.